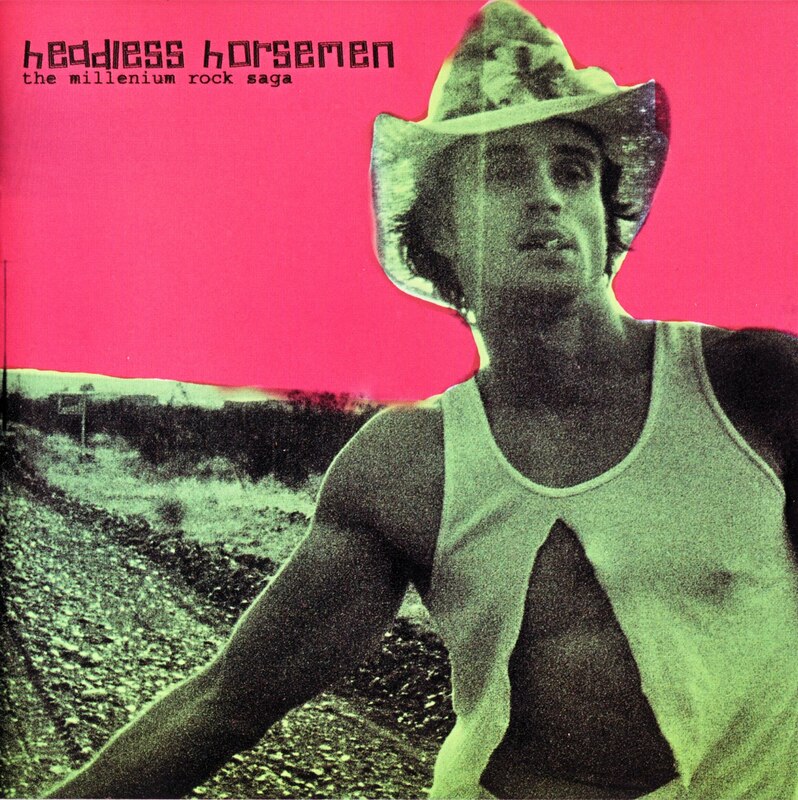 Headless Horsemen - The Millenium Rock Saga (Discography). Self-released, 2003. 2-8 from "Unconscious on Arrival" 7" on Gash Records. 14-18 from split 7" with Bjelke-Petersen Youth on PC/Gutless/SFTMH/Shortfuse. Alex Wood/drums (was in ALTERED BEAST/3 FOUND DEAD/VAE VICTIS and heaps more, now in ETHER RAG/THORAX/DEATHCAGE/BURNING SERVANT). Damien Suplina/guitar (was in MEATAXE). David Seet/Bass (was/is in NINTENDO POLICE). Shorty/vocals (was in FISTFULL/BRAND DISLOYALTY now in ROYAL HEADACHE). ...also Max from FAR LEFT LIMIT/AGENTS OF ABHORRENCE/etc etc played drums for the Euro tour.